Ornamental grasses are elegant yet easy to care for, and are being introduced into an increasing number of backyards all the time. Gardeners absolutely love their subtle colors and graceful shapes. 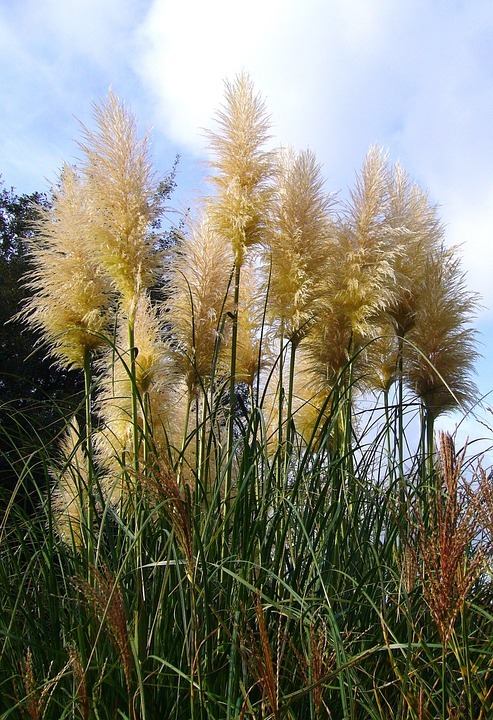 And also their delicate plumes and flower tassels – known as inflorescences – are the inspiration of such evocative names as turkey foot, foxtail, cloud grass, and bottlebrush. Various grasses are able to grow from ankle-high length to over-our head – in arching cascades, feathery fronds, straight spikes, or in soft mounds. However, a majority of them fall into one of two major categories: spreading or clump-forming. Ornamental grasses that are clump-forming are able to maintain their compact shapes, which means they behave well when planted in a flowerbed. The spreading varieties may be invasive (and there are some imports that might pose threats out in the wild to native species), so they need to be selected and controlled very carefully or confined to just growing them in containers. Grasses are ideal for the eco-friendly gardener. 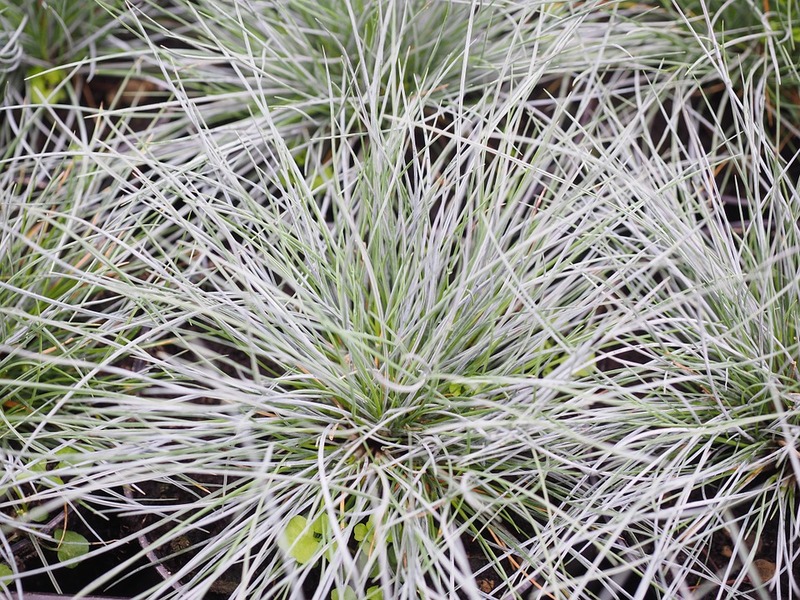 There are many different varieties of ornamental grasses available. They are tolerant of many different types of soil and thrive with plenty of sun, no fertilizer or chemicals, and little rain. Native grasses, in particular, are a very attractive source of food for butterflies and birds. 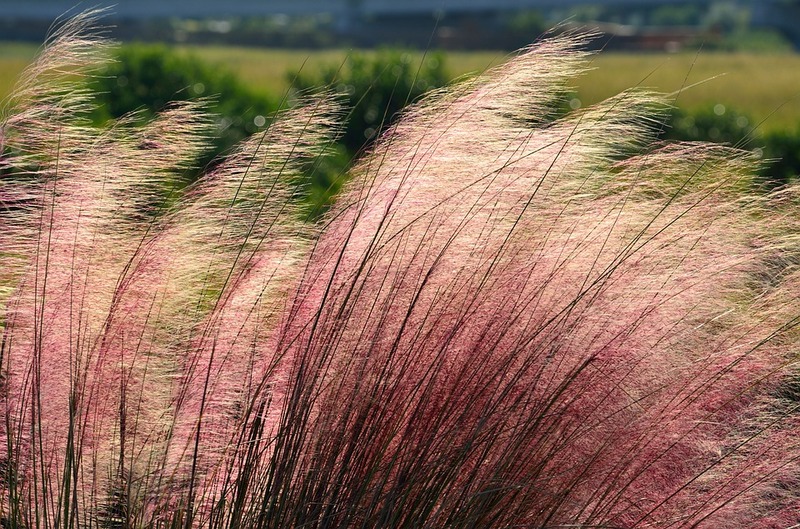 Summer is the time of year when ornamental grasses perform at their best, providing hazes of color, sound, and motion. When they are left untrimmed until spring arrives, they can stand up all winter very well and show their silhouettes off against the snow backdrop. 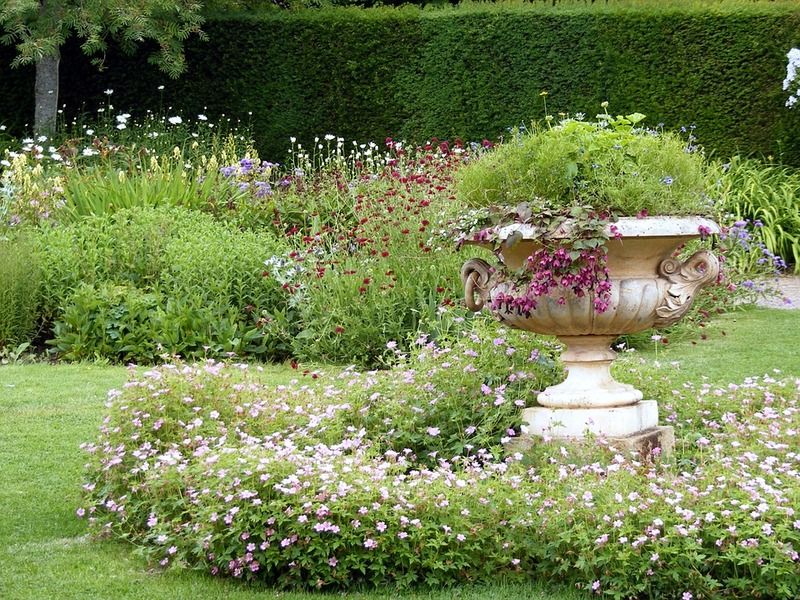 Plant grasses into clumps that have three plants at least in each of them for maximum impact. Dig a large hole (two to three times larger than the root-ball) for each. Turn out the plant from the pot, tease the roots apart, and the put it inside of the hole with its crown right above the level of the ground so it doesn’t get waterlogged. Fill it with soil and then firmly tamp down. Give it a generous amount of water until it has become established. Once a clump becomes too big or the center starts dying back, wait until spring, and then dig the clump up, leaving plenty of soil around the edges. Pry the root-ball apart using garden forks, and then replant the divisions immediately. In the spring, and before any new growth starts to sprout, cut the plants back. Trim the grasses to under one meter in height to around 5 centimeters tall; those that are more than one meter should be cut about to around 10 centimeters tall. 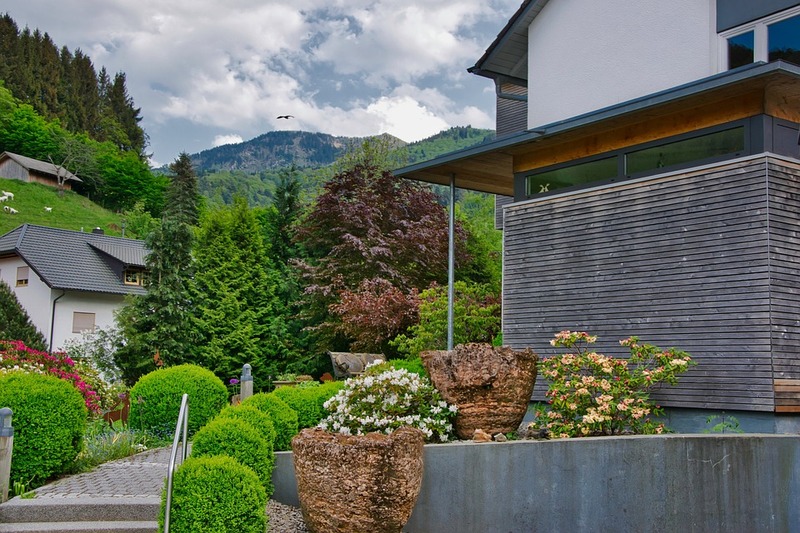 Internationally renowned Dutch garden designer Piet Oudolf has shaken up the traditional ideas of border composition with his naturalistic planting style. Oudolf has introduced his innovative ideas into many of North America’s public gardens, and to the Toronto Botanical Garden mostly recently, where he partnered with Martin Wade, a landscape architect, on a design for the facility’s Entry Garden Walk and Arrival Courtyard. Naturalistic gardens are deceptively spontaneous and wild and are successful through the careful placement and selection of plants. Greases are some of the most essential elements for Oudolf, that create excitement, rhythm, and harmony. Grasses work the best when they are combined with natural companions: other noninvasive, long-lived, hardy perennials, and in particular prairie plants and meadow flowers, like masterworts (Astrantia), coneflowers (Echinacea), burnets (Sangiusorba), and bee balm (Monarda didyma). It is more important to play with texture and form than to devise artistic color combinations (grasses offer a harmonizing effect on hues that are otherwise discordant. A common naturalistic pairing may contrast the airy soft clouds of tufted hair grass with the round, spiny flower heads of the globe thistle. Grasses may evoke different moods. When one kind of grass is repeated it creates a calm rhythm; when planted in the form of uniform blocks, a powerful impression is made by the grass. Grasses that are planted in a loose drift evoke the feeling of the countryside and offer a nostalgic and informal feeling. In the fall, the grasses burnished leaves combined with the jewel tones of late fall season perennials like the joe-pye weed, sedums, and asters. In the winter, grasses like Miscanthus, Deschampsia, and Calamagrostis shine through frost. Festuca glauca (blue fescue) – Clump forming. This grass features fine blades that grow in dense tufts up to 30 centimeters in height and produce mauve inflorescences. Hordeum jubatum (foxtail barley) – Clump forming. Shimmering pink-purple plumes reach to around 45 centimeters in height. Pennisetum alopercuroides ‘Hameln’ (fountain grass) – Clump forming. White flower spikes are turned into fawn during the fall and grow to 60 centimeters in height. Carex elata ‘Aurea’ – Clump forming. Arching, narrow leaves, lemon-lime color, grow up to 60 centimeters tall in thick tufts. Chasmanthium latifolium (spangle grass) – Clump forming. A green grass that grows up to 1.2 meters in height and matures into a bright copper color, but is also selected for it oatlike distinct flowers. Panicum virgatum ‘Huron Solstice’ – Clump forming. This cultivar has light green leaves from the Martin Quinn Canadian hybridizer and is striped with pink and red inflorescences that reach to 1.2 meters in height, and dance in the breeze. Andropogon gerardii (turkey foot, big bluestem) – Clump forming. 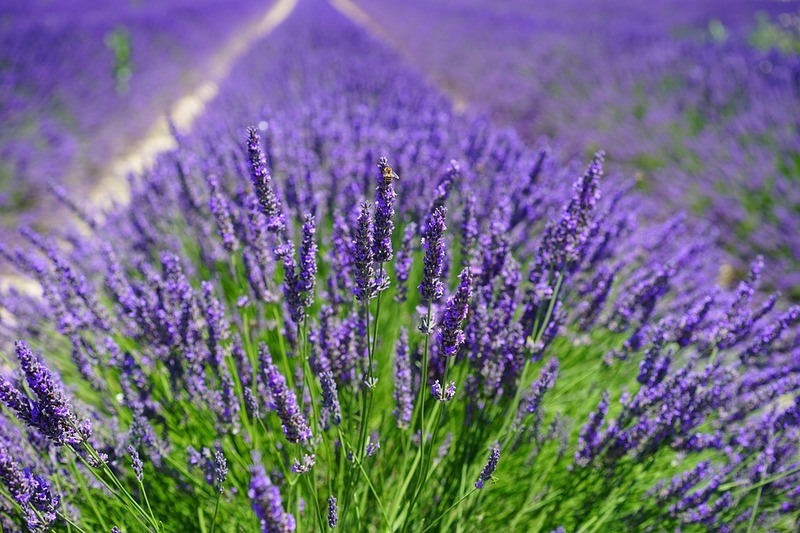 The grass grows to 2 meters in height with blue-green leaves and big purple inflorescences in the shape of birds’ feet. Calamagrostis x acutiflora ‘Karl Foerster’ (feather reed grass) – Clump forming. Reaches to 75 centimeters in height with pink inflorescences that nearly double this height. Panicum virgatum (switchgrass) – Clump forming. The delicate flower spikes and flat green leaves grow to 2.4 meters tall. Hystrix patula (bottlebrush) – Clump forming. Arching green stems grow to 90 centimeters in height. Sorghastrum nutans (Indian grass) – Clump forming. The ‘Sioux Blue’ cultivar features blue-green blades that age into gold. Their yellow flower tassels mature into a bronze color. The grass grows up to 90 centimeters in height. Sporobolus heterolepis (Prairie dropseed) – Clump forming. Pale, pink fragrant flowers float around 60 centimeters into the air, over green leaves that turn into gold.